Come one and all EMS personnel. Here is an entire day to get free training and 8 CEH credits. The Johnson County EMS Association’s EMS Saturday is an outstanding single day event held in North Liberty. Registration and continental breakfast begin at 7:30am on February 10, 2018. 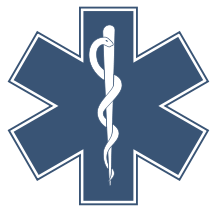 To meet the educational needs of pre-hospital and in-hospital emergency care providers. This program awards 8 CEH’s for both basic and advanced care providers.